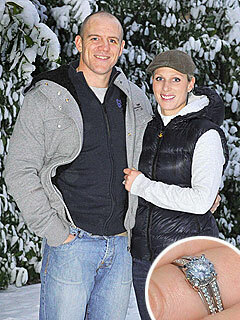 Second best headline that I read today: Prince Williams Cousin Zara Phillips is Engaged. Umm...who? I have never ever heard of this girl and I know a tad about the Royals. This girl is only in the American press right now because William is also engaged. Zara Phillips? She is Princess Anne's daughter. She is described as a "blonde showjumper." Now, I assume that means that she has yellow hair and she rides horses -- translation -- rich and jobless. Now a big faux pas would be if she got married before Prince William and Kate (aka "Kills")... Million dollar question: Does Zara and her betrothed (rugby player Mike Tindall - aka "Zike") get their own Royal wedding china pattern or will they just get a commemorative plate that you can order out of the back of the USA Today insert in the Sunday paper? Third best headline of the day: Lady Gaga Shops Pantless in Paris. Seriously? Trying out a new trend are we? You think this should be the First Best Headline? Yeah, you are probably right. This chick must be on so many drugs. Or, she cannot be out of the spotlight for ONE SINGLE MOMENT. Scary. No, not the implication that she is on drugs and is attention-obsessed, but the picture of her without pants on...that is scary. Lady, what planet are you from? No mention of the shoes Lady Gaga is wearing?